Click here to make a gift in honor or memory of an individual. Donate today to reserve your free 2015 Landscape calendar. Each month includes information about how your donation will make a difference in the lives of injured warriors. 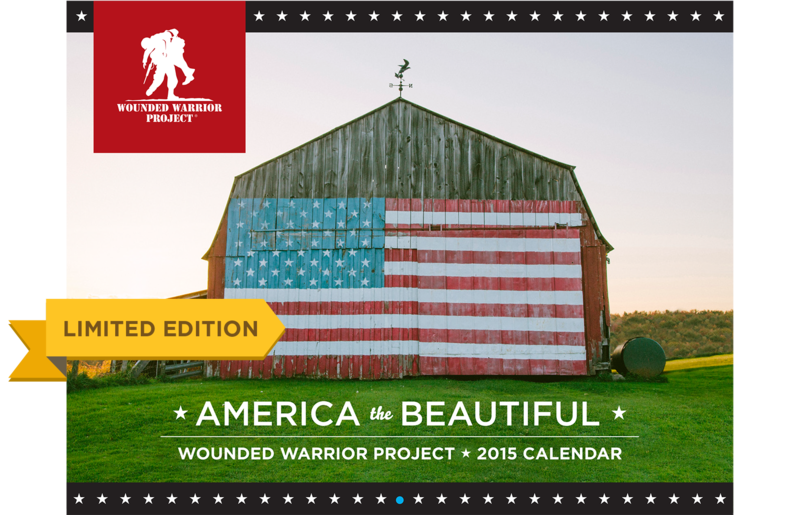 The calendar also includes feedback from warriors regarding Wounded Warrior Project® (WWP) programs you help sustain with your gift. Your generous, tax-deductible donation to WWP enables us to help thousands of injured warriors returning from the battlefield and helps provide assistance to their families. **Please allow 3 - 4 weeks for your calendar to arrive. Click here to join the Advance Guard monthly giving program for $19 a month and receive a WWP blanket.